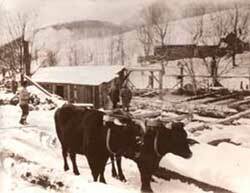 Cloudland Farm was originally a 2,000 acre dairy farm purchased by the Emmons family in 1908. 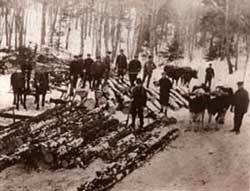 At that time, the farm raised Jersey cattle, Southdown sheep, Berkshire pigs, and produced maple syrup. Milk, eggs, potatoes, and apples were sold locally. 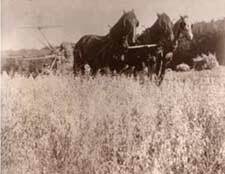 Butter was shipped to Woodstock in a horse-drawn wagon, loaded onto a rail car, and taken to Boston where it was sold. 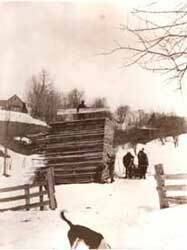 Ice was harvested from the farm’s pond during the winter and was used as “refrigeration” throughout the year. 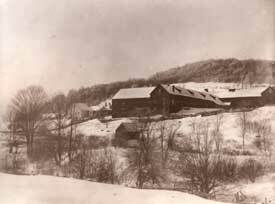 The farm employed as many as 30 workers during the summer and one photo of its sawmill in winter shows 10 men. Now a 1,000 acre farm, Cloudland is home to Black Angus beef cattle, pastured chickens and turkeys, pigs, horses, a certified tree farm, the Cloudland Farm Country Market, and a farm-to-table dining establishment. The farm is operated by Bill and Cathy Emmons. Their college-age children help on the farm and with the restaurant whenever they are home.